NASA mission that embodies the virtues of faster, less expensive access to space has sailed past all major development milestones and is scheduled to be delivered to Cape Canaveral on time for its October 2016 launch. "We're on schedule to deliver the instrument for integration aboard the SpaceX Dragon cargo spacecraft on a Falcon 9 rocket this time next year," said Keith Gendreau, the principal investigator of the Neutron-star Interior Composition Explorer/Station Explorer for X-ray Timing and Navigation Technology (NICER/SEXTANT). NICER/SEXTANT, which NASA's Science Mission Directorate selected in 2013 as its next Explorer Mission of Opportunity, is a one-of-a-kind investigation that not only will gather important scientific data, but also demonstrate advanced navigation technologies—all from a relatively low-cost instrument that takes advantage of an already-existing platform, the International Space Station (ISS). The ISS orbit that ranges between 51.6 degrees north and south latitudes will give the instrument a good view of the cosmos to accomplish both its scientific and technology objectives. 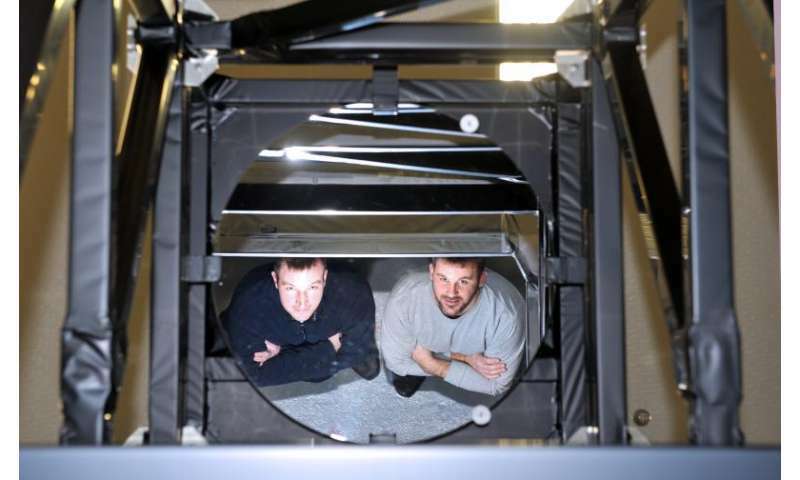 The agency's Space Technology Mission Directorate also is supporting the development of the NICER/SEXTANT instrument, which Gendreau is developing at NASA's Goddard Space Flight Center in Greenbelt, Maryland. Once the instrument deploys next year as an external attached payload on one of the ISS ExPRESS Logistics Carriers, its 56 X-ray optics and silicon detectors will observe and gather data about the interior composition of neutron stars and their pulsating cohort, pulsars. Although these objects emit radiation across the spectrum, observing in the X-ray band offers the greatest insights into these unusual, incredibly dense celestial objects that if compressed any further would collapse completely into black holes. The mission will shed light into their structure and allow astronomers to observe the stars' tremendously strong magnetic fields and other physical properties. In pulsars, the magnetic poles are especially luminous, affording an opportunity to also demonstrate celestial-based or X-ray navigation (XNAV), a capability that could enhance NASA's ability to pilot to the far reaches of the solar system and beyond. Due to their rapid pulsations, with repetition periods that range from seconds to milliseconds, the powerful beams of radiation emanating from their magnetic poles sweep around much like a lighthouse, and are as seen as flashes of light at Earth. Because of their predictable pulsations, pulsars can provide high-precision timing just like atomic-clock signals supplied through the Global Positioning System (GPS), which weaken the farther one travels out beyond Earth and the GPS constellation. To demonstrate XNAV, the payload will detect X-ray photons within the pulsars' sweeping beams of light to estimate the arrival times of the pulses. With these measurements, the system will use specially developed algorithms to stitch together an onboard navigational solution. The NICER/SEXTANT team, which also includes the Massachusetts Institute of Technology (MIT), Moog Inc., headquartered in East Aurora, New York, the Naval Research Laboratory, and universities across the U.S., Canada, and Mexico, also may demonstrate a second technology—X-ray communication—that, if advanced, potentially could allow space travelers in the future to transmit gigabytes of data per second over interplanetary distances. At the heart of this potential demonstration is the Modulated X-ray Source (MXS), which the team developed to test and validate the XNAV concept. The technology generates rapid-fire X-ray pulses, turning on and off many times per second, encoding digital bits for transmitting data. If the team attracts additional support, perhaps from other government agencies interested in advancing X-ray communication, the team plans to develop an MXS-based transmitter that would fly on a future ISS supply spacecraft. As the craft approached the space station, MXS would transmit data via the modulated X-rays, which the NICER/SEXTANT hardware would then receive. Although its mission is ambitious, the NICER/SEXTANT instrument itself is a model of efficiency, both in terms of what it will do but also how it was assembled, Gendreau said. "We made a conscious decision to use commercial-off-the-shelf parts where we could, taking carefully considered risks where it's warranted. I think NICER/SEXTANT is a nice balance. It's all about risk management." The calculated strategy appears to have paid off. Last year, the mission passed the first of several important milestones, including the Critical Design Review and various ISS safety reviews. Upon learning that the station would not be providing the 28-volt power needed to run the instrument, the team also designed and is now building a space-qualified power converter. In just 11 months, the team developed a device that could convert the ISS-supplied 120 volts to 28 volts—in time to be included in the mission's integration schedule. "We've turned that into a success story," Gendreau said. "Again, it's because we have a small, nimble team." The team now is busy testing the instrument's 56 X-ray optics, built in-house and based on a design created by Goddard scientist Peter Serlemitsos, who has created the replicated foil mirrors for other X-ray missions. 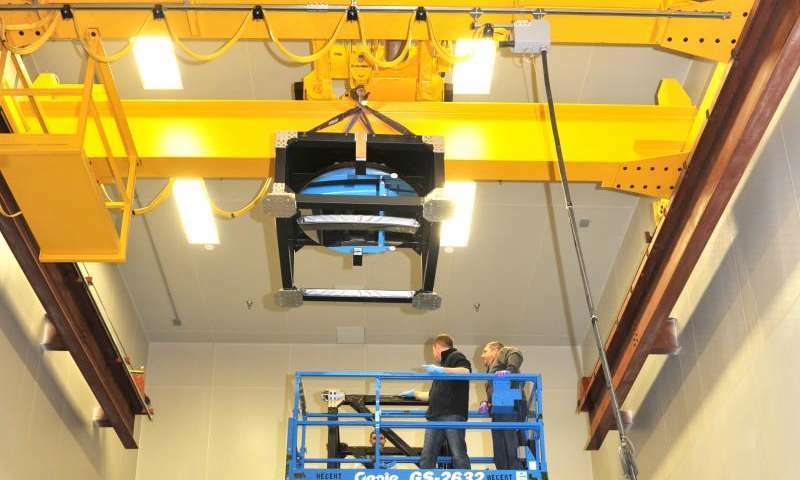 The team built a 25-foot "collimator" tower, equipped with a 1-meter-diameter parabolic optical mirror, which will be used to co-align the instrument's 56 optics and star tracker. "It's really coming together," Gendreau said. "Our goal is to get this done under budget."